This is Norwegian composer and pianist Ola Gjailo’s first ‘solo’ album, and following on from considerable success as a performing artist this release has been much anticipated by fans. The contemplative nature of his playing is a defining factor in his style, and in the interview booklet notes he cites Keith Jarrett as an example of one whose work he has found attractive in the past. ‘Contemplative’ need not be confused with somnolent however, and as numbers such as the opening Snow in New York and Michelle show that more up-tempo numbers are very much a part of Gjailo’s package of goodies. Pieces like Roxbury Park and the Lyle Mays sound-alike Manhattan roll along with a relaxed and open character, and could only come from a deep affinity with American culture. While most of these tracks are indeed solo work, there are a number of other musicians involved. Cellist Johannes Martens appears on the super-romantic tunes The Hudson, and Sidewalk, both of which run the risk of melting your loudspeakers, such is the sweetness of their effusion. He also contributes to Madison, which is also powerfully sentimental but has a less overtly obvious melodic structure. Violinist David Coucheron joins in to form a trio with the piano and cello in Sienna, which has a typically rolling and full-sounding accompaniment to simple melodic phrases which speak directly and clearly. The beautiful North Country II sees the flugelhorn of Tom Barber adding its own special sonority to the piano and cello mix. Of the numbers with added instruments this is a clear favourite, with plenty of soulful twists and turns over the relatively straightforward descending bass line in the piano’s left hand. Barber also helps close the album with Serenity, which rumbles along fairly innocuously to start with, but develops quite a head of steam over the 5 minutes of its duration. Recording label 2L’s Lindberg Lyd was nominated for ‘Best Surround Sound’ at the Grammies in 2007, and the symbiosis between Ola Gjeilo’s playing and producers and engineers sympathetic to creating the best possible piano sound has produced something of a demonstration disc when it comes to sound quality. Exploration of sonority and harmonic relationships are an interesting element in Gjeilo’s music, and it would seem he is as much at home with the classics as with the kind of ‘country’ jazz which often crops up here. There are whiffs of Erik Satie in the hymn like title track Stone Rose, and to a certain extent in the lyrical grace of April, and the rise and return gesture which opens January reminds me of Richard Strauss’s In Abendrot. 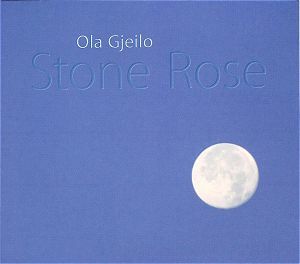 At his best, Ola Gjeilo produces some marvellous piano playing coupled with an intelligent and deeply felt compositional style. Many of the tracks are relatively short, and none outstay their welcome, but you will have to be in tune with and appreciate his particular heart-on-sleeve expression and manner to love the whole album. For me some of the pieces overflow into a rather too facile and emotive idiom to be entirely successful or durable. This is a very fine line of course, and when the whole thing works we get potential classics. If you like the more introverted Keith Jarrett of The Koln Concert coupled with, dare I say it, some of the kind of writing which has helped artists like Elton John do reasonably well for themselves, then I would heartily recommend this disc. This young musician has embarked on a hopefully long and gloriously successful career with this rather marvellous calling card, but I suspect he will have a great deal more to offer with the added depths of age and further experience.